Say goodbye to chilly car rides. The Heated Single Car Seat Cover provides hours of comfortable heat. The stealthy heating element is strategically positioned at the back rest for continuous soothing warmth. Connect it to your car’s 12-volt cigarette plug and you are set to drive for miles! Heating panels are placed throughout the back rest and seat of the cover to provide you with complete comfort and coverage in your warmth. The include temperature controller gives you the freedom to pinpoint the exact heat level you need to maximize your comfort on the road. With just the click of a button, the color coded LED lights cycle through the 4 heat settings for greater personalization. 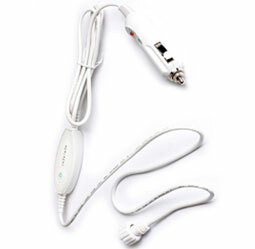 Plug the adapter into your vehicle’s cigarette adapter and attach the other end to the heated seat cover. As long as you are on the road, you can feel the luxury of heated seats! 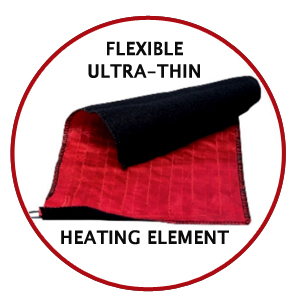 The Xtreme Comfort Technology brand is the top-tier for providing you with peace of mind when it comes to safe and reliable heating of your body’s core. 1. Where is the heat coming from? 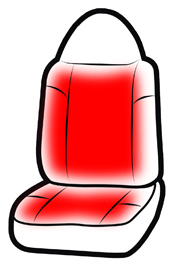 The heat emitted by the car seat cover comes from thin micro-alloy heating elements placed throughout the seat and back rest areas. 2. How hot can the heated car seat get? The heat can go up to 132 degrees Fahrenheit (Max), perfect for snowy drives or for the cold weather season. You can choose to lower its temperature by clicking the power button once. 3. Where does it draw power? 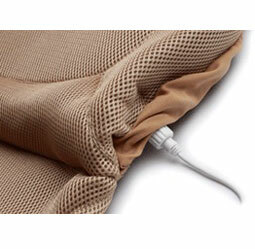 The heated seat cover has a 12-volt car plug that you can easily connect to your car's cigarette plug. 4. Can the Heated Single Car Seat Cover fit to all car seats? Yes. The Heated Single Car Seat Cover is form-fitting and versatile, with adjustable bands to suit your car's driver seat. 5. Is the Heated Single Car Seat Cover safe to use during long drives? Yes. You can always adjust or turn off the heater through the temperature controller. 6. Does it have warranty? Yes. The product is protected by a 12-month limited warranty, while the temperature controller and the plug are covered by a 6-month limited warranty. 7. How can I clean the Heated Single Car Seat Cover? Although it is safe to machine wash the seat cover, it is advisable to hand wash it for maximum performance.